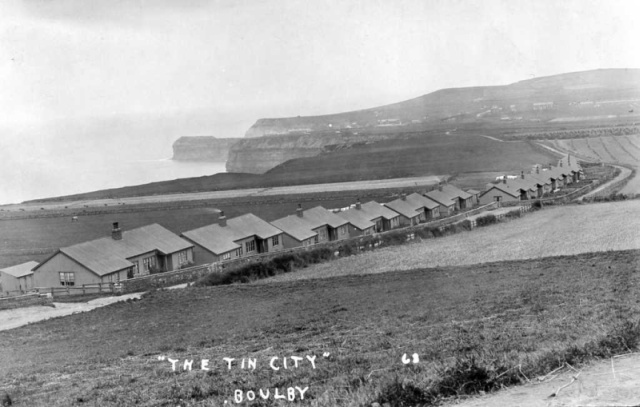 Tin City as it was known locally was a row of housing started in 1906 for the workers at Boulby Ironstone Mine, although it was officially known as ‘Iron Cottages’ on the 1911 census. I believe they were relocated to Loftus in the late 1930s. Today all that remains are concrete foundations on which the houses once stood. Not a million miles for your grans house, is it? Aye, but she’s long gone now. Just up the hill in thefield between Ings Farm and the Boulby Road are what look like quarry workings. The story of ‘Tin City’ is covered in Simon’s excellent account of the Boulby ironstone mine. Incidentally I believe the ‘iron houses’ that were used for the Eston miners were of a similar construction. 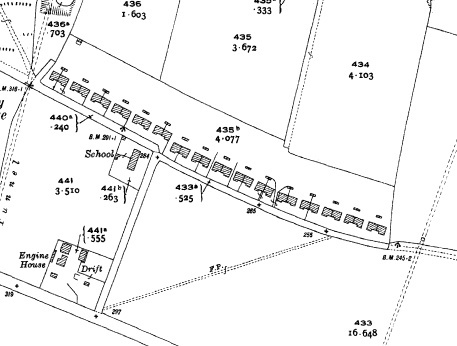 As regards the earthworks, I have no idea what this may relate to as (I believe) the iron seam was located much further down the hill, maybe Simon can help?